Grove County Infant School is a former school of 19th century origin, located at the Grove. 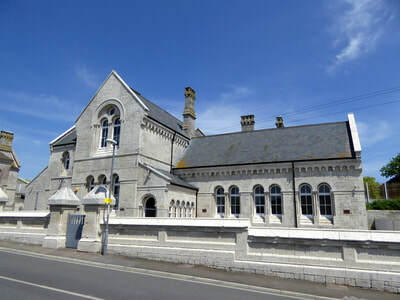 Opened in 1872, the school was originally known as the Portland Prison Officers' School, which itself had been established circa 1849 on the outskirts of the prison. The school closed in 2013 and was redeveloped into five dwellings, named Church View, in 2017-18. The former school, including its rear boundary wall, has been Grade II* Listed since September 1978, while the adjacent Old School House became Grade II Listed at the same time. The Grove village developed as a result of the establishment of the Portland Convict Establishment in 1848. After proposals were approved in 1847 to transform the natural anchorage of Portland Roads into a harbour of refuge, the prison was constructed in 1847-48 to provide convict labour in the Admiralty Quarries, from where the stone required to build the breakwaters was produced. The new convict establishment saw the creation of the Grove as a village, largely occupied by the warders, staff and their families. The need to address the educational requirements of the village's children was quickly realised. In 1850, the prison chaplain, John Henry Moran, commented in his annual report: "In so very remote a place as Portland, I venture to hope that some means will be adopted, and some support given, to secure a school for the children of the warders." 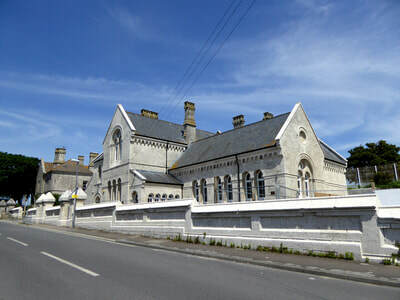 In circa 1849, the officers of the prison established the Portland Prison Officers' School, which was housed in purpose-built premises located on the south-east outskirts of the prison and close to the clifftops. The school proved to be successful and in 1856, the Southern Times reported: "The success of this school is almost unprecedented. The Officers of the Prison are deserving of the highest commendation for the establishment of, as well as the very efficient manner in which this school has and still continues to be conducted." At that time, 180 children were educated there. Despite its early success, the school was considered as being in a "very inferior state" by the late 1860s, which in turn led to the risk of losing an annual Government grant. A fall in attendance was seen during this period as many parents "did not see, and could not be made to see, how desirable a thing it was their children should be educated". In the late 1860s, the prison chaplain, Reverend Arthur Hill, established a movement for a church to be erected to serve the Grove community. He also fought for a new school building to replace the existing premises, and he commented in a chaplain report, dated January 1869: "The importance of the warders' children having the opportunity of obtaining a sound and useful education afforded them can scarcely be over estimated. It is all they have to depend upon in preparation for their future toil in life. We need new school premises, the present being quite inadequate." In 1869-70, the Admiralty donated a disused plot of land from the Admiralty Quarries for both the church and school, along with a residence for the school's headmaster. Construction of the school and associated residence, as well as St Peter's, was carried out in 1870-72 using convict labour. Able to accommodate up to 380 children, the new school opened on 2 September 1872, with a separate department for boys, and another for girls and infants. In addition to providing education to the children of prison officers and staff, soldiers and their families based at the Verne Citadel also sent their children to be educated at the Grove. The new building marked a change of fortune for the school, with the Southern Times reporting in 1874: "...instead of an old room only partially filled, we now find large, new, airy, and well lighted apartments filled with children of all ages, from the intelligent youth of fourteen down to the little infant of three years." That January saw a concert held at St Peter's, with a public tea in the school afterwards. Rev Hill was presented with a testimonial, on behalf of the Grove community, for his efforts in having a church and school erected. During the presentation, Lieutenant Symons of the Royal Navy commented: "Under your auspices schools have been built which may fairly vie with any in the county, and a sound Christian education has thus been placed within the reach of every child in this district." 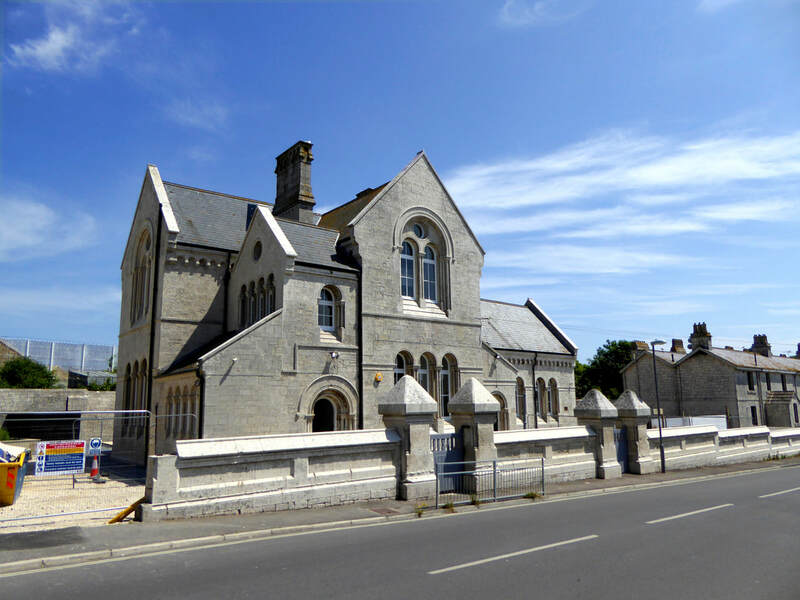 Proposals were made in 1874 to extend the infant schoolroom and plans were authorised the following year. The extension, built using convict labour, was completed in April 1876 and allowed for separate departments to be formed for girls and infants. During that year, the school had 340 children registered on its books, compared to 287 in 1873. Later attendance at the school was recorded as being 260 in 1889 and 317 in 1911. In 1913, Dorset County Council secured a lease of the school from the Home Office, allowing it to be run as a council school from 1914. Some extension work was carried out during that year. Later in January 1927, with the opening of the new Tophill School, Grove School's three departments were replaced by mixed junior and infant departments. The school provided education up to the age of eleven, with all pupils beyond that age being sent to the senior department of Tophill School. Once the changes were in place, Grove School was recorded as having 135 pupils that year. Plans were made to make Grove School an infant-only school in 1960, with all mixed junior pupils to be relocated to the new Tophill County Junior Mixed School. A Parent Association was formed to protest the plans, but their pleas to both the County Council and the Minister of Education, David Eccles, failed to alter the decision. Grove School re-opened on 11 January 1961 as the Grove County Infant School. In 1965, it was recorded as serving 56 children, compared to 38 in 1961. From the early 1970s, Grove School was faced with a number of threatened closures. In 1971, plans were made to close the school by 1974-75, which in turn prompted the formation of a new Parent Association. The school's closure was still intended by the time early 1975 arrived, however the proposal did not come to fruition. Further announcements of possible closure followed in 1980-81, but the plans were again dropped. 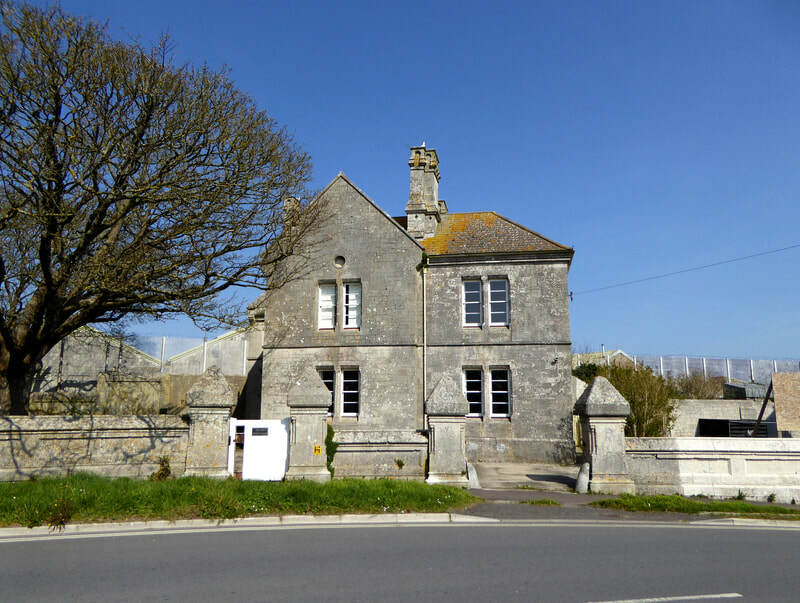 In March 1982, the prison, by then a Borstal Institution, proposed that the Old School House be used as a pre-school facility on rent-free terms. Plans were soon put forward and the Tadpoles Pre-School was soon established there. Later in 2000, the school was once again threatened with closure and plans were put forward by the County Council for the school's 42 pupils to relocate to St George's Infant School. Protests from parents and staff kept the school open, and refurbishment plans for the building and playground were soon carried out from 2001. The school's upstairs hall, which had last been used around 1989, was able to be brought back into use by 2002. The Tadpoles Pre-School, housed in the Old School House, closed in July 2004, following the decision of the Home Office to sell the property. The pre-school was unable to afford to purchase the building or take on a proposed five-year lease. In response to the closure, Grove School opened a foundation stage unit named Little Stars that September, which was the first such facility in Dorset, offering spaces for approximately 20 children. The Old School House was sold in 2005 and reverted to use as a private dwelling that year. In September 2010, the school was closed for approximately two months when a County Council inspection found high levels of radon gas within the building. While the school remained shut for emergency work, the pupils were taught at St George's Primary School. Grove School reopened in November, following the installation of two large fans underneath the building, which diverted the gas away from the school and into the atmosphere. Meanwhile, volunteers and donors had also contributed towards the redecorating and revamping of the school, which included the assistance of a working party from HM Prison Portland. 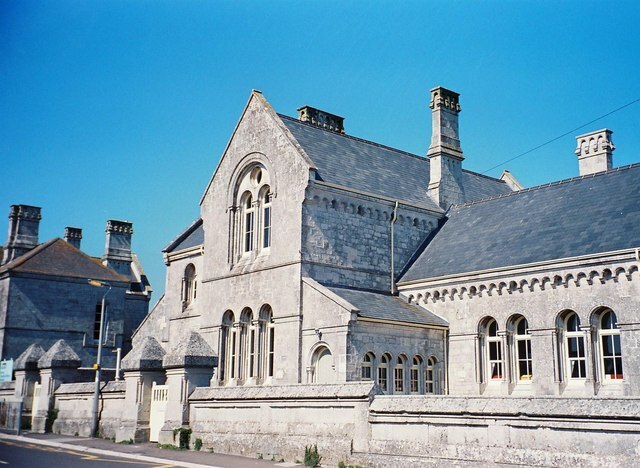 In 2012, Grove School, along with four others on the island, opted to join together to form the Isle of Portland Aldridge Community Academy. From September that year, Grove School opened as one of five IPACA campuses, known as "Grove Campus". It served one school year and closed in July 2013. Following its closure, the Ministry of Justice sold the former school to Fortuneswell Developments Limited, who submitted a planning application in February 2016 for the alteration and conversion of the building into five dwellings. Due to its listed status, some concerns were raised by Historic England, who wished to maintain the original character of the building, both internally and externally, and limit harmful conversion work. Furthermore, the Ministry of Justice had not consulted the organisation when the building was sold, despite agreed guidelines being in place for government departments to consult with Historic England when disposing of historical sites. In response to the proposed conversion, Historic England praised the developers "innovative" and "sympathetic" approach in the effort to "minimise harm" to the building's historical and architectural merit, but voiced concerns over the lack of detailed plans on certain aspects of the redevelopment, including some internal features and landscaping. Planning permission was approved in November 2016 and the work was carried out in 2017-18. The school's three halls were transformed into three two-bedroom flats, while the classrooms and other rooms were used to form two other dwellings; a one-bedroom house and three-bedroom house. The new residential units were collectively named as Grove House, but this was soon changed to Church View. Internal work was carried out to "retain as much of the original room space and volumes, wherever possible" and "retain and repair historic fabric where possible" using "materials that match the original". Necessary alteration focused on using reversible methods such as the use of mezzanine flooring, smart glass windows, glass balustrading, an underfloor heating system on ground floor level, and a less intrusive water mist fire protection system. The focus on using wood and glass was intended to provide a "light and transparent quality" without compromising the building's original layout as a school. External alteration was kept to a minimum. Both a modern conservatory and timber shelter to the rear of the building were removed, while between the school and Old School House, part of the front boundary wall was removed to provide vehicular access for future residents. The former playground's hard landscaping was largely retained, although some areas of soft landscaping were added, featuring the planting of various trees and shrubs. The two-storey school, built of Portland stone with slate roofs, has a Romanesque Revival design and a cruciform plan. The Old School House is also built of Portland stone. Like St Peter's Church, both Grove School and the Old School House are likely to have been designed by Captain Edmund Du Cane (later Major-General Sir Edmund Du Cane), who at the time was the director of convict prisons, as well as an inspector of military prisons. Externally, the school features many round-arched windows and steeply-pitched roofs. In its original 19th to early 20th century use, the interior was made up of three halls, each with a classroom and other associated space, and these were used as separate departments for boys, girls and infants. The boys occupied the first floor, accessed by a cantilevered staircase of Portland stone. The original toilet block, an outbuilding erected against the boundary wall in the playground, was demolished in 1991-92. English Heritage, in a 1991 survey of the school, described it as "richly detailed and confidently handled building". They added: "The building is a very lively and carefully articulated design, little altered within, and an important survival of 19th century social history. It forms part of a major group of buildings - developed as a result of the establishment of the prison here." 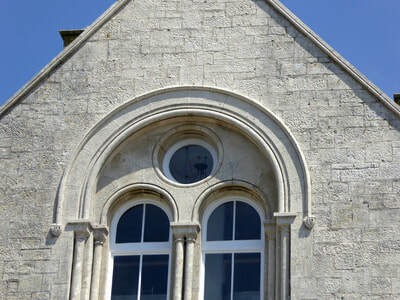 The Appraisal of the Conservation Areas of Portland noted the "rich architectural details" of the school. The former Grove Infant School, seen in 2018 as work on its redevelopment is nearly completed. The date '1870' is engraved on either side of these front windows. Next to the school is the Grade II listed Old School House.